Adobe Acrobat is ridiculous expensive: Adobe Acrobat Pro is $449 for full version and Adobe Acrobat Standard is $299. If you need to install Adobe Acrobat on many computers, the site license will be a large expenditure with which you can do more prospective things. Adobe Acrobat is quite slow and pour in performance: Lots of people are experiencing slow performance of Adobe Acrobat. Adobe Acrobat sometimes takes ages to open, save and print files and can freeze computer as using too much memory. More annoying things is the crash of Adobe Acrobat. Adobe Acrobat has tons of functions however lots of people just using a few functions of it like reading PDF files, combining several PDF files into one, add headers/footers, and minor editing, or just converting PDF files. So it is just not worth the full expensive price. Hence, you just need a smart Adobe Acrobat replacement for Mac/Windows. This article introduces the best alternative to Acrobat for Windows/Mac that costs much less but is as powerful as Adobe Acrobat. It is your ideal choice for dealing with PDF files on your Mac or PC. 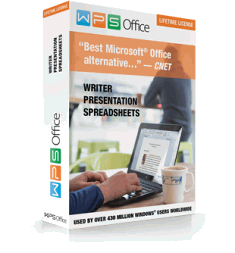 .DOCX is the default saved file format for Microsoft Office 2007 and later. A .docx file cannot be opened without installing Microsoft Office Word 2013/2010/2007 and will not be opened without the help of Microsoft Office Compatibility Pack for Word if one uses Word 2003 or earlier version Word. Then how to open .Docx file without MS Office Word 2013/2010/2007/2003 in Windows 10/8/7/Vista/XP? This article introduces how you can open a .Docx file without MS Office Word 2013/2010/2007 in Windows 10/8/7/Vista/XP, and how you can a .Docx file with Word 2003 and earlier version Word. Along with the release of OS X 10.9 Mavericks, Apple also updated its popular entry-level video editor, iMovie to iMovie 10 with major changes to the interface to make it easier to import video, create and share your videos. And along with the release of macOS 10.14 Mojave, macOS 10.13 High Sierra, macOS 10.12 Sierra, OS X EL Capitan, OS X Yosemite 10.10, Mavericks 10.9, Apple Inc. launched the stable version iMovie 10 which bundled with all new Macs and for separate purchase from the Mac App Store. With iMovie 10, import is fast and really a joy. You can choose to importing from a camcorder, importing from an iOS device, importing from a point-and-shoot camera and importing existing movies. And the import process in iMovie 10 has now been back-grounded, meaning that you don’t need to wait for an import to complete before working with the footage. You can select, mark as Favorite and add to your movie before the file has even copied.